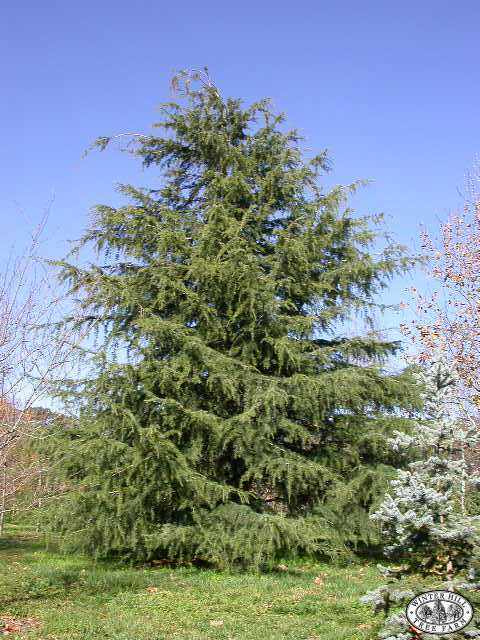 For a snapshot comparison of all Cedrus varieties available at Winter Hill click here. Shapely, evergreen, pyramidal tree with graceful pendulous foliage almost to the ground. Sharply pointed silvery green leaves. Cooler districts and dry inland. Needs good drainage and prefers full sun and regular moisture, but also tolerates periods of drought. Can be grown in a container when young, or to form a hedge or windbreak. Lovely specimen tree.